A 6X4 rectifier will drop a PERFECT 20 Volts. cdmawolf wrote: A 6X4 rectifier will drop a PERFECT 20 Volts. That's a good idea but I'd have to make a new layout. Possibly bigger box. Something to think about. That's not too high, especially using the EFB circuit. Stunch wrote: That's not too high, especially using the EFB circuit. Ya think? Doesn't seem to negatively affect their performance. Each night they seem to get a little better sounding. If I really had any concern it would be that I might burn out the tubes too quickly. As I mentioned before, dissipation is right where it needs to be so perhaps they'll be fine. It's been a fun project. Just for fun, I checked my plate voltage and got 372VDC when in normal stereo mode. 370 is published spec by Dynaco. When I yanked the two outport tubes in one channel to force the amp into quasi mono, I got 398. I checked all other points and they were all up, very close to a factor of 398/372=1.07, being the difference between the plate voltages. For example, the stereo reading for the plate (pin 1) on the 12DW7 was 221 in stereo and 235 in mono. Cathode was 0.84 and 0.9 respectfully. Wall voltage was around 117VAC. And of course all the readings at the B+ points were up a factor of 1.07 as well. If I were to go the mono route, I kinda' know what to expect now. 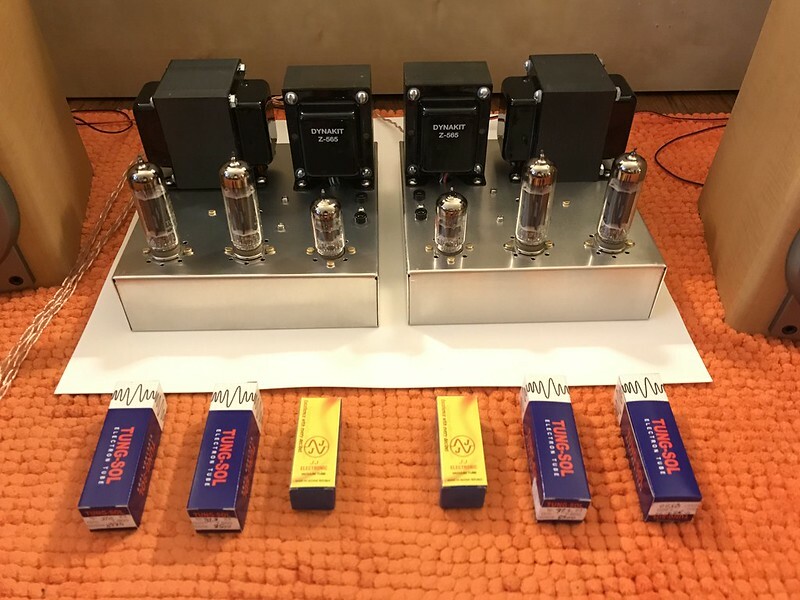 If I want to get close to Dynaco's specs, I would have to get a different power transformer - maybe a 310-0-310 - or possibly use a GZ34 rectifier or something. Dammit Corndog, you've got me thinking now! Stunch wrote: Dammit Corndog, you've got me thinking now! I know! It never ends! This is my 4th attempt at building an amp based on the ST35. I've learned a lot since my 1st attempt and despite not having the best voltage numbers compared to the original design these monoblocks are my cleanest build and the best-sounding amps so far. The clarity and dynamics I'm getting are astounding! Keep the one you have and build new ones! My photo hosting site changed their policy so I'm going to find somewhere else to post my pics. Hopefully I can get them restored. Not much action on this thread lately. I think using a PA-774 with a 5AR4 rectifier tube might work in a mono setup. It should provide B+ readings similar to the original ST-35. 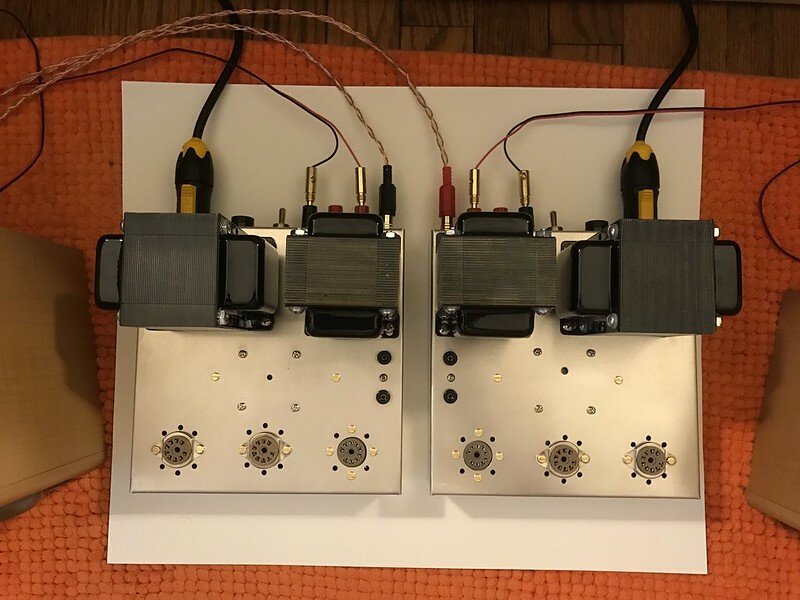 I was thinking of using one of the 6.3VAC filament windings for the 2 output tubes and the 12DW7 tube - just like on one channel of the ST-35. I would then like to use the other winding for the rectifier. Add a .68R resistor to drop the 6.3V to the required 5V. The filament is good for 2.5 amp draw and the rectifier is rated at 1.9 amps. So far so good, or maybe not. Since the 5AR4 is directly heated, there will be B+ riding on the filament and I wonder if the winding is sufficiently isolated from the other windings. Even though it’s not designated for rectifier duty, would it work? In case anyone missed it, my video of them playing still works. Last edited by corndog71 on Mon Mar 26, 2018 8:29 pm, edited 2 times in total. If you are a member at DIYAudio so you get to see the posted schematics then the schematic I posted at post #604 here may be of interest to you. 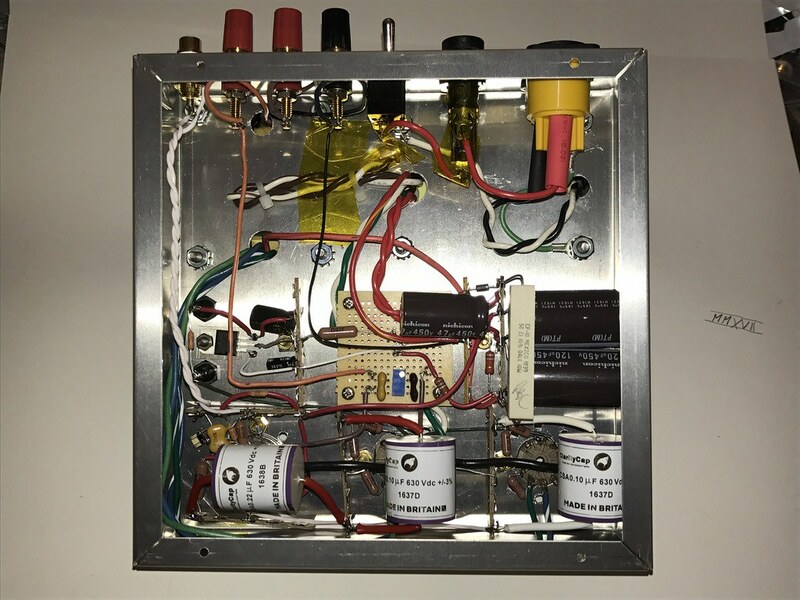 It is a 12AX7 + PP Ultralinear EL84 circuit with full "Bells and Whistles". The Stereo 35 trannies/chassis will suit. It is what I use at home.